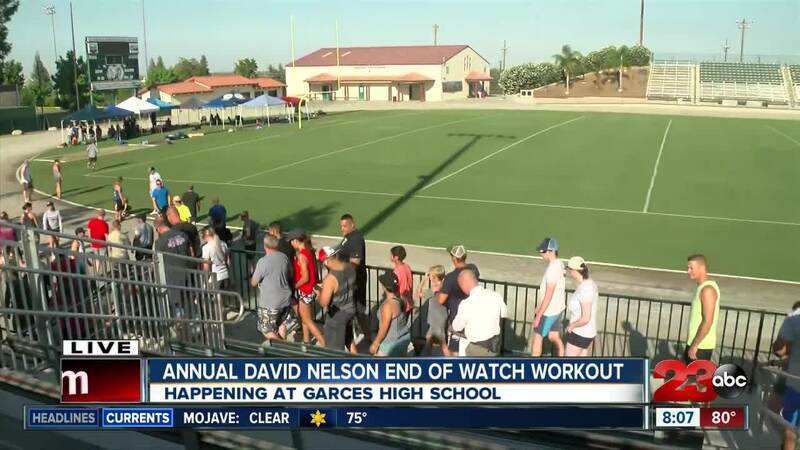 Bakersfield Police, friend and family take part in the 3rd Annual David Nelson End of Watch Workout to remember the 57th officer to die in the line of duty in Kern County. Three years ago Bakersfield Police lost an officer in the line of duty. Officer David Nelson crashed his car and died while chasing a suspect near Bakersfield College in 2015. He is the 57th officer to die while on duty in Kern County. 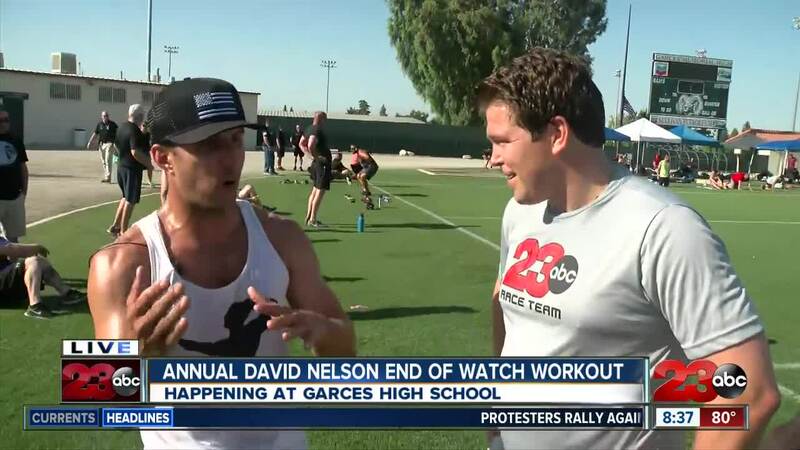 Saturday to honor Officer Nelson, his friends, family and fellow Bakersfield Police officers hosted the 3rd Annual David Nelson End of Watch (EOW) Workout at Garces Memorial High School in Bakersfield. The workout consisted of a mile run, sets of squats, push-ups and sit-ups from 19 at a time, down to 1 at a time and finished with 19 lengths of the pool. Eric Nelson, Officer Nelson's oldest brother, said his brother loved to workout, especially swimming. And the 1 mile run, 19 sets of exercises, and 1 swim were significant to Officer Nelson, because it was his badge number. Over one hundred participants completed the workout. Next year organizers hope to see more.